Prizm operates in the cryptocurrency MLM niche and launched in mid 2017. A November 2017 blog post on the Prizm website identifies Alexei Muratov as Prizm’s founder. Prior to Prizm, Alexei Muratov was heavily involved in the MMM Global Ponzi scheme. 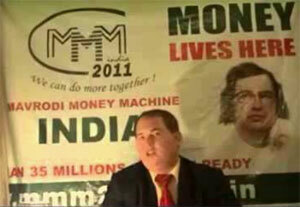 Muratov (right) focused on scamming MMM Global investors in India. For his efforts, Muratov was arrested by Indian authorities in May 2013. The financial apocalypse contemplated by Russian ponzi King Sergei Mavrodi was aborted in India by the Assam police earlier this week. Alexei Muratov, Mavrodi’s representative in India has been arrested. MMM Global went on to collapse worldwide in 2016. Just over a year later Muratov launched Prizm. Read on for a full review of the Prizm MLM opportunity. Prizm has no retailable products or services, with affiliates only able to market Prizm affiliate membership itself. Prizm affiliates invest in PZM, an altcoin launched by the company in May 2017. Prizm was initially only available from Prism, but today can be purchased on numerous public exchanges. Upon acquiring PZM, Prizm affiliates can park their PZM coins with the company. Prizm affiliates receive additional PZM based on how many PZM coins they have in their PZM wallet. Prizm affiliates also receive additional PZM based on how many coins their downline holds. Although not explicitly clarified in Prizm’s compensation plan, I believe the multiplier rate is applied to the amount of PZM received through the personal wallet daily ROI. That is affiliates you recruit are placed below you on level 1, those they recruit are placed on your level 2 and so on and so forth. Prizm affiliate membership is free. To participate in the attached MLM opportunity however, an investment in PZM coins is required. What makes PZM any different from the thousands of other cryptocurrency altcoins out there? Prizm marketing is the usual “lulz no banks” spiel. The marketing highlight appears to be a flat 0.5% transaction fee. There’s literally no reason to use PZM over any other altcoin, which brings us to the actual reason it exists. Prizm’s MLM compensation plan is pitched in a hilarious imitation of MMM Global’s “financial apocalypse” jargon. Paramining principle is based on the fundamental laws of physics, from the field of “Visible radiation”. Like the model of our universe, the system is constantly expanding with greater speed. The reality is Prizm is your typical MLM pump and dump altcoin scheme. The Prizm whitepaper reveals the company launched with 10 million PZM. These ten million coins were flogged to early affiliates, in addition to an undisclosed amount retained by Alexei Muratov and whomever he might be working with. The Prizm admin accounts hold the most PZM, and it stays that way owing to the ROI rate set by wallet balance and downline PZM wallet balances. Prizm’s admin accounts not only hold the most PZM from day one, they also sit at the top of the company-wide downline. Beyond accepting real money for PZM at launch, the exit-scam is tied to public trading. I.e. Alexei Muratov offloading his PZM onto unsuspecting victims. Nobody is actually using PZM for what it’s marketed for, as evidenced by the altcoin’s $1 launch value in May 2017, pump to $2.51 in September 2017 and current dump value of 16 cents. We obviously don’t know how much Muratov has cashed out over the past two years. 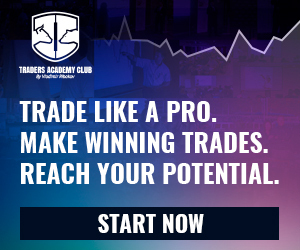 Daily trading though is typically less than $20,000 though so it’s definitely a slow-bleed. With more and more PZM being created out of thin air and primarily going to early investors, selling off even small amounts will inevitably see PZM’s public value continue to decline. What this means for you as a new Prizm affiliate investor is a guaranteed loss of money. You’re buying into Prizm sees you hand over real money to existing affiliate investors. They cash out and you’re left holding the bag. Bizmo World Review: Lifehack voting app?